Susan Marlowe is a librarian who doubles as a jewel thief. 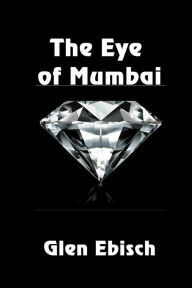 When Richard Scott, an insurance investigator with mysterious government connections, catches her switching a real diamond for a paste replica, she is forced to help him steal back the famous Eye of Mumbai from an unscrupulous and violent Russian oligarch. Warning herself not to get personally involved with the attractive investigator, Susan soon finds herself becoming progressively more entangled in the theft and in her feelings for Richard. When things go wrong and she is placed in great danger, Susan must rely on her own abilities and help from Richard, a man she hardly knows, to save her from disaster.